Things didn’t always go right for mumble rapper Lil Yachty in the beginning. After calling Notorious B.I.G. overrated and releasing a debut album that flopped, Lil Yatchy took some heat early on and was easily dubbed one of the most disliked rappers, all while simultaneously gaining popularity on SoundCloud. Following an unsuccessful attempt at pop with “Teenage Emotions,” Lil Yachty returned with “Lil Boat 2.” This was an album with some great tracks, but it still didn’t take Yachty back to that prominent position he once had with his contemporaries. But now Lil Yachty is back with an uncompromising project that calls for the props he deserves. The album “Nuthin’ 2 Prove” should’ve been named “Nobody To Please” from the attitude Lil Yachty emits throughout the album. He immediately sets a self-assured tone on the intro “Give Me My Respect.” On this track Lil Yachty confidently tells us to give him respect, referencing back to his SoundCloud fame when he, Playboi Carti and Lil Uzi Vert were the biggest up-and-coming artists on the platform. The first eight tracks have this bassy, hard-hitting percussion he nonchalantly styles over. It plays the perfect backdrop to his confident, braggadocious delivery and the clever, flex-filled raps. The samples also bring an incredible element that elevates the sound of this project. The Trippie Redd-assisted “Forever World” has an amazing Faith Evans sample, and the 1998 Lil Sko “Killa” sample on the intro brings a Southern bounce that’s sprinkled throughout the project. 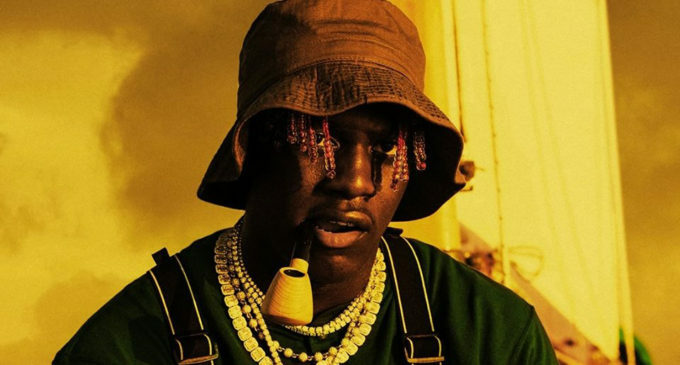 While his music has gotten darker and carries a less celebratory sound than what we initially heard from Lil Yachty (i.e “We Did It,” “Good Day” and “All In”), he’s maintained the animated, witty and melodic sound people are familiar with. Some of the cadences are typical Lil Yachty, but there are moments where he takes his rapping to another level. On “Riley From The Boondocks,” the rapid yet still unconcerned cadences he uses are arguably some of the best Lil Yachty has used so far in his career. “Nuthin 2 Prove” follows that all too familiar Drake blueprint — half of the album is purely dedicated to rap, and the other half has more singing. While the splitting of the two genres worked for Drake, the fusion of the two genres is when Lil Yachty is unparalleled. Lil Yachty is at his best when singing rap lyrics like he did on songs like “Minnesota,” “Wanna Be Us” and “Never Switch Up.” On “SaintLaurentYSL” and “Next Up,” we see the classic, autotune-crooning, rapping Lil Yachty we became familiar with on his debut mixtape. But the separation of the genres this time hinders the project, making it lopsided — the first half is vastly stronger than the second, which is where Lil Yachty loses steam. The instant switch from the hard-hitting raps to more chill, singing-based songs taints the dynamic of up and downs an album normally has. After eight hard-hitting rap tracks that rarely went past three minutes, the songs on the second half of the project are too long, even though they are on average three-and-a-half minutes. Most of these songs have an un-needed third verse. There are moments throughout the project in which Lil Yachty sounds like many of his contemporaries. “Worth It” completely sounds like a PnB Rock song, but even still, Yachty’s unique, nasally voice helps him brand the tracks as his own. After losing some of his traction from trying to force his way into the pop world with “Teenage Emotions,” people expected Lil Yachty to be over with. They thought he was a one-hit-wonder, a fad and a flop. But on “ Nuthin’ 2 Prove,” Lil Yachty is proving them wrong. Overall, the music feels unforced and true to him. Lil Yachty seems to be recalibrating his trajectory, and he sounds insatiable and untouchable as he pushes forward.